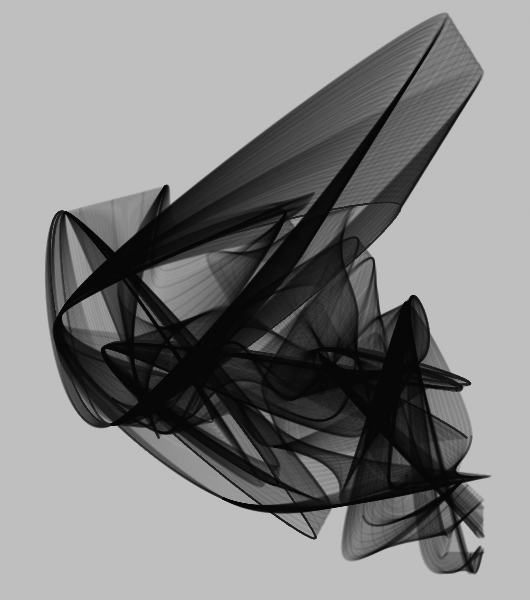 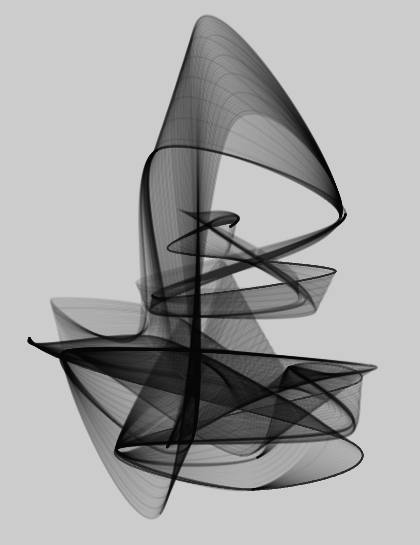 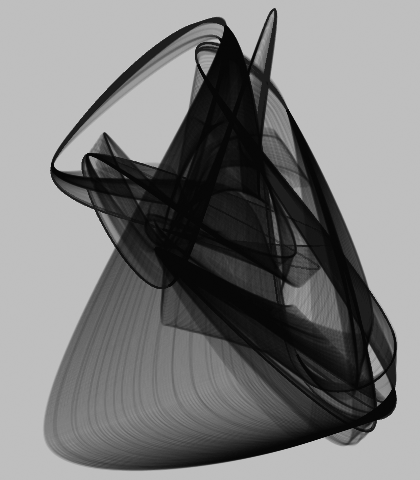 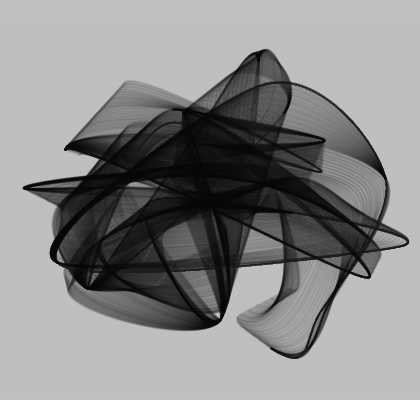 Finding Balance is a generative art series made with Processing. 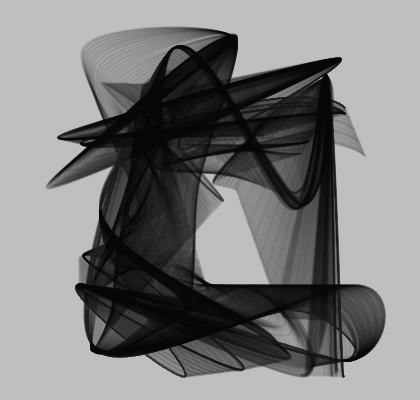 This program utilizes a flocking cellular automata system. 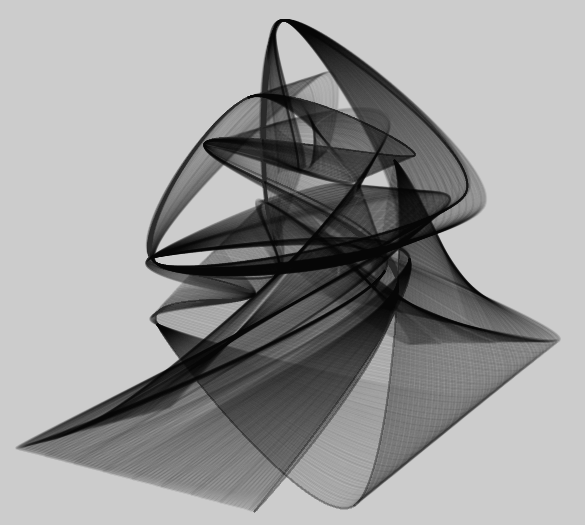 The video below provides an explanation of how these structures were drawn. 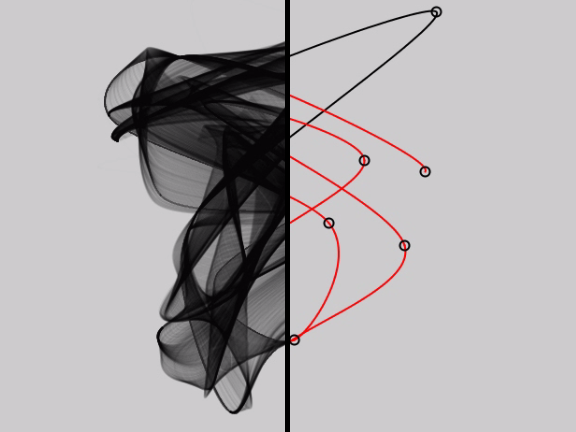 Split image to illustrate how image was formed.